Although he died in 1988 aged 52, thus robbing the world of one of the greatest voices in pop music, the legend of Roy Kelton Orbison from Wink in Texas will never die while there are ears to hear his magnificent talent. Often compared to an opera singer, Orbison is acknowledged as the ultimate vocalist by everyone from Bob Dylan, George Harrison, Tom Petty and Jeff Lynne – who would all accompanied him in The Traveling Wilburys - Elvis Presley, Carl Perkins and Chris Isaak. His ability to hit a multiple – four - octave range and keep perfect pitch, tone and expression has had Orbison likened to the kind of stellar force who can silence a room, fill every available space and then bring an audience off its knees and shouting their approval through tear drop eyes as his baritone or tenor finale hangs in the air. Orbison’s career began at Sun Records in the late 50s when he sang country and western but his ballad style evolves once he switches to Monument and has 22 songs chart in the Top 40. These include classics like “Only the Lonely”, “Crying” (which will be revived by the singer and another acolyte k.d. lang, and the witty, talk and growl of “Oh, Pretty Woman.” Roy’s album sales were huge and for a period in the 1960s he bridged the divide between rock and roll and chart pop music while peers like Presley, Chuck Berry and Little Richard were in the army, jail and church respectively. A grounded and modest individual, Orbison was aware of his gift but only used it for good. He received five Grammy Awards in his lifetime and a Lifetime Achievement Award as posthumous recognition of his unique genius - ten years after his death in Hendersonville, Tennessee in 1988. Bruce Springsteen, another staunch admirer, gave Roy that prize at the Rock and Roll Hall of Fame in 1987 and stated his belief that his hero’s voice will echo throughout history. We are delighted to have a selection of his fabulous music, including latter-day gems - Laminar Flow and King of Hearts as well as anthologies like The Essential Roy Orbison, The Singles Collection and The Monument Singles Collection. Any of these would be a fine place to start your appreciation of the man. Though born in Vernon, Texas Orbison’s oil well working father moved the family to the small burgh of Wink in an effort to avoid a polio epidemic. In this rather desolate petroleum fuel filled town Orbison grew up a shy child who inherited a genetic shortsightedness. His trademark dark glasses were actually prescription shades and his professional choice of black clothes was not so much a gimmick, more an expression of anonymity and the desire to fade into the background. Reticent as he was in public on normal occasions once he got in front of a microphone Orbison flowered and came alive. He was inspired by seeing Elvis and then Johnny Cash play live in short order in 1955, which he described as a combination of trauma and enlightenment. Cash moved him towards auditioning for Sun Records but while he was Presley’s chauffeur on occasion his sole song writing success was in pitching “Claudette” to the Everly Brothers who used it as flip side on their hit “All I Have To Do Is Dream”. If Sun didn’t exactly utiklise Roy’s ability – he was often used as a gopher - Fred Foster was quicker to appreciate Orbison and gave him a Monument contract in 1960 then teamed his latest project with cream of the crop Nashville A men like Grady Martin, Hargus Robbins, Harold Bradley, Floyd Cramer and the ubiquitous Jordanaires or Anita Kerr singers, who might have been deemed surplus to requirements on occasion given the range of the man in front of them. Roy’s breakthrough song was “Only the Lonely”, which employed his falsetto and impressed Elvis so much he bought a box of 45rpms and gave them to his friends. Orbison toured with Patsy Cline and the hits just poured out: “Blue Angel, “Running Scared”, “Crying”, Fred Neil’s’ “Candy Man” – epic in every sense. Orbison’s popularity with British record buyers brought him to the UK for a tour supporting The Beatles whose audience may have been initially been baffled by this idiosyncratic looking pallid looking Texan but whose expectant screams turned to reverence and demands for encores while John Lennon and company watched in awe from the wings. So to the albums. From the Fred Foster produced Monument years we heartily recommend Lonely and Blue for “I Can’t Stop Loving You” and “Bye Bye Love, Crying for “Running Scared” and his singular take on “The Great Pretender”, Roy Orbison’s Greatest Hits and In Dreams – those are all delivered in one year from 1962-63! Good work. 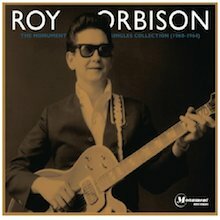 Mid-period gems include More of Roy Orbison’s Greatest Hits (like its companion this is actually a dedicated album rather than simply a collection) for Roy’s version of Willie Nelson’s “Pretty paper” and the Early Orbison set where all can wonder why “Pretty One” and “Come Back to Me My Love” weren’t million sellers. 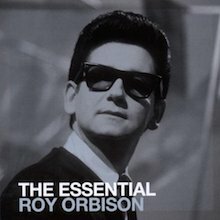 The MGM period is represented by There Is Only One Roy Orbison while Monument raced them to the stores to release Orbisongs, one of the man’s best rock and ballad albums. The Classic Roy Orbison and Roy Orbison Sings Don Gibson are great C&W albums too and the soundtrack to Orbison’s one and only movie role – he plays Johnny Banner in the musical western The Fastest Guitar Alive is a cult artefact of great merit. Now, while the hits dried up temporarily Orbison’s albums remained excellent and he regularly covered Mickey Newbury’s songs in glory. The Big O (his nickname given him on that fateful Beatles tour in 1963) is another treasure trove with Roy tackling Brian Wilson’s “Help Me, Rhonda” as well as rock’n’roll masterpieces like “Land of a Thousand Dances” and “Money”. Thereafter tributes to Hank Williams and both the Memphis and Milestones discs find Orbison hitting the early 1970s head on, choosing great material to interpret and starting to produce his own stuff with a more country atmosphere. The Class of ’55 teams Roy, Jerry Lee Lewis, Carl Perkins and Johnny Cash, a gene pool of talent that pays homage to Elvis in part also includes a show-stopping version of John Fogerty’s “Big Train (From Memphis)”. Anyone playing catch up should investigate In Dreams: The Greatest Hits. Four sides of classics originally this CD sets Orbison up for his major return album, Mystery Girl. Released in 1989 the title comes from the song Bono and The Edge of U2 wrote for Roy, “She’s A Mystery To Me”. That by turn was inspired by watching David Lynch’s film Blue Velvet . The link-up between the young Irish stars and the rock hero obviously benefited both artists and this album was a major hit in the US and UK. 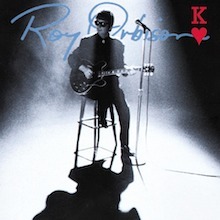 Released posthumously but made while Roy was enjoying a massive resurgence via his part in The Traveling Wilburys, the disc also features the Tom Petty/Jeff Lynne/Orbison smash “You Got It”, Elvis Costello’s “The Comedians” and production from Bono, T-Bone Burnett and the Heartbreakers Mike Campbell. The latter band are the featured back-up players while guests include George Harrison, Bono playing electric guitar on his song, Al Kooper, Jerry Scheff and The Memphis Horns. The remastered 2007 reissue also finds space for “You May Feel Me Crying” where Brian Eno is in the producer’s chair. This is a classic album – no doubt. To round things up we also recommend A Black & White Night Live where Roy is joined by former Presley sidemen and admirers like Springsteen, Costello, Tom Waits, Jennifer Warnes, k.d. lang and Bonnie Raitt for 17 tracks of splendour. Finally, King of Hearts is a posthumously arranged set put together by Jeff Lynne comprising master sessions and demos with assists from Don Was, David Briggs and Diane Warren, amongst other stellar names. Roy Orbison endured much personal hardship and tragedy in his own life but we can only be sorry that he died aged 52 when he had so much more to offer. Investigate any of the above albums and assure yourself that a rare treat lies in store. The voice, the melody, the passion – it can only be The Big O. Here are the Billboard Pop Hot 100 results for all 22 tracks cut at MGM after leaving Monument in 1965: 1] Ride Away [# 25 in late summer 1965]; 2] Crawling Back [# 46 in December 1965]; 3] Breakin' Up Is Breakin' My Heart [# 31 in February 1966]; 4] Twinkle Toes [# 39 in May 1966]; 5] Too Soon To Know [# 68 cover of a Don Gibson 1957 recording in August 1966]; 6] Communication Breakdown [# 60 in December 1966/January 1967]; 7] So Good [uncharted in 1967]; 8] Cry Softly Lonely One [# 52 in August 1967]; 9] She [uncharted in 1967]; 10] Born To Be Loved By You [uncharted in 1967]; 11] Walk On [uncharted in 1968]; 12] Heartache [uncharted in 1968]; 13]Southbound Jericho Parkway [7:00 long and uncharted in 1969]; 14] Penny Arcade [uncharted in 1969]; 15] She Cheats On Me [uncharted in 1970]; 16] So Young [uncharted in 1970]; 17] (Love Me Like You Did) Last Night [uncharted in 1971]; 18] God Love You [uncharted in 1972]; 19] Remember The Good [uncharted in 1972]; 20] Memphis, Tennessee [uncharted in 1972]; 21] Blue Rain (Coming Down) [uncharted in 1973]; 22] I Wanna Live [uncharted in 1973]. In addition there are five pages of liner notes written by noted author Colin Escott and a discography of the contents. This is one that should be re-issued by those concerned as it is the only one to offer up all the A-side MGM hits. Truly an essential volume for any devoted Roy Orbison fan. Although Roy Orbison's album Mystery Girl was issued eight weeks after his death on December 6, 1988, it was apparently in finished form and thus only technically a posthumous release. 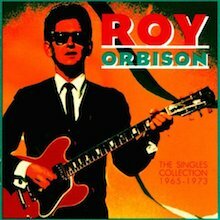 Orbison's widow Barbara says she has been asked frequently since "whether Roy had recorded enough material for one more album. The answer is yes," she replies in her liner notes to King of Hearts. An examination of the album's contents puts qualifications on this simple affirmative. The ten tracks include Orbison's Grammy-winning remake duet of "Crying" with k.d. lang from 1987, for instance, as well as the original demo of "Careless Heart," a song featured in its finished form on Mystery Girl. There is also a cover of the Cyndi Lauper hit "I Drove All Night." The previously unheard recordings include sessions produced by T-Bone Burnett, Barbara Orbison, George Massenburg, Jeff Lynne, and Don Was, among others, apparently at different times during the '80s. Barbara Orbison acknowledges that sessions were held after Orbison's death to add overdubs to unfinished recordings and demos. So, that simple "yes" is really fairly complicated. That said, this collection of leftovers from various sources is not bad at all. It certainly isn't near the quality of Mystery Girl, but, employing some of the same musicians and producers, it has much the same sound. If the material isn't of the same caliber, that's to be expected. And tracks like "Crying" and "I Drove All Night," if they pad the album out, also bring up its overall quality. 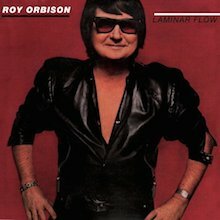 Laminar Flow is an album by Roy Orbison recorded at Wishbone Recording Studio in Muscle Shoals, Alabama and released in 1979 on the Asylum Records label. It was the last album of new material Orbison would release in his lifetime - his next studio effort, In Dreams, featured re-recordings of old Orbison hits whilst Mystery Girl and King Of Hearts, his final collections of all-new material, were released posthumously. Laminar Flow shows Roy Orbison ready to get back to work after all his health issues and that he could still churn out a good song and his voice was intact. Hound Dog Man is the song that stands out on this set and worth the price of the whole cd. He performed this song at his concerts right up to the end. I feel lucky enough enough to have seen Roy one last time about 2 months before his passing and the show was fantastic.